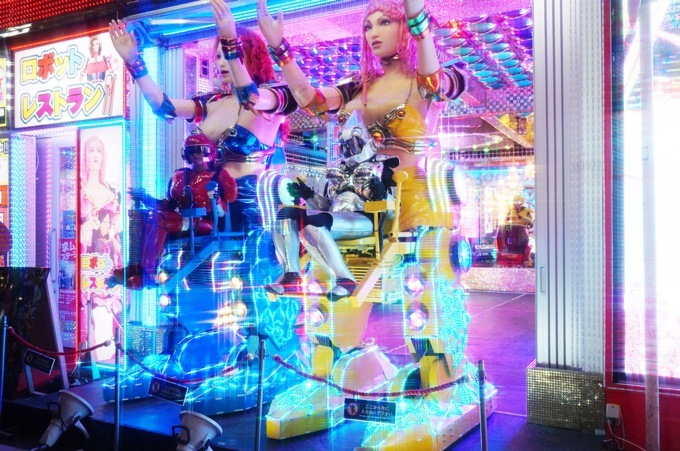 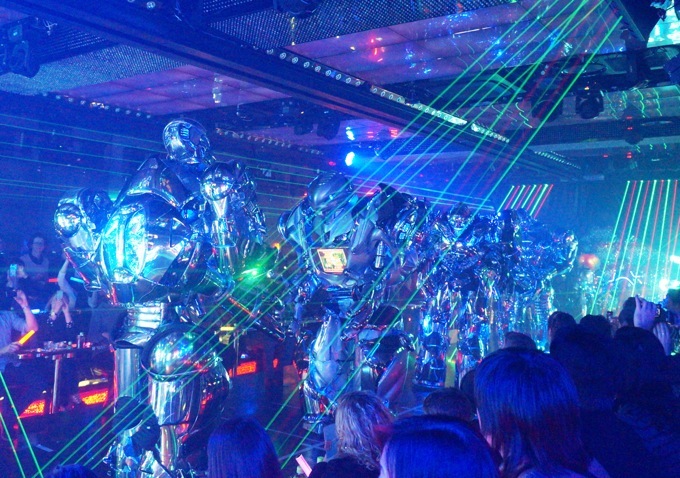 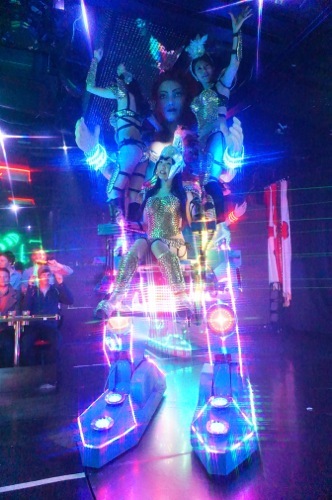 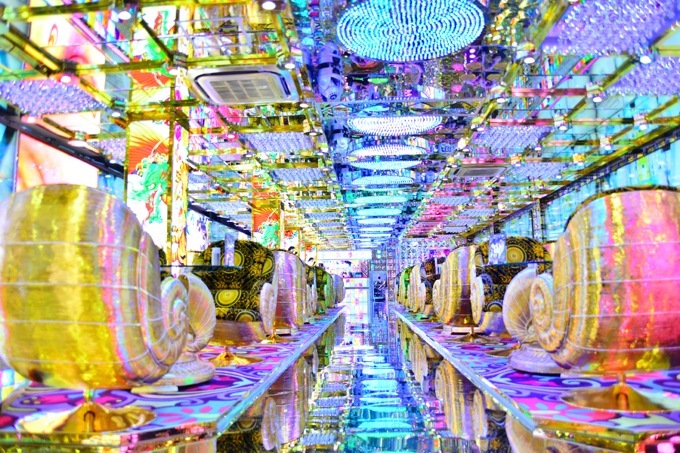 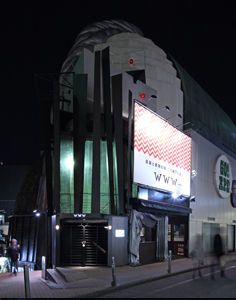 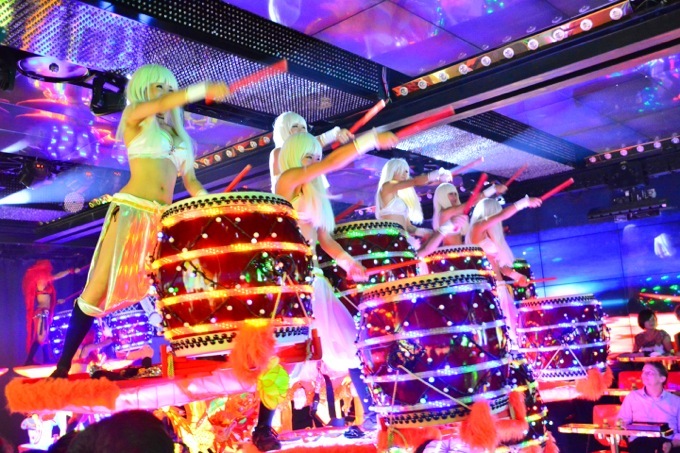 Constructed with a hefty price of 10 billion yen, Robot Restaurant is where gigantic robots and acrobatic female dancers perform wild raving dances right in front of your eyes, literally. 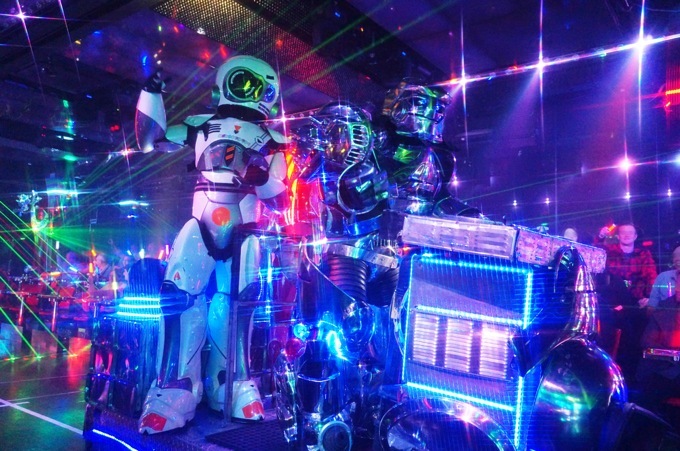 Feel free to take photos and even pose with the robots in this chaotically fun venue where everything is alive with neon lights. 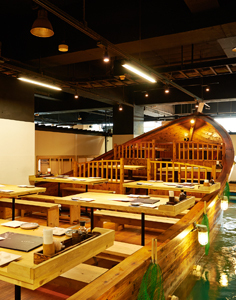 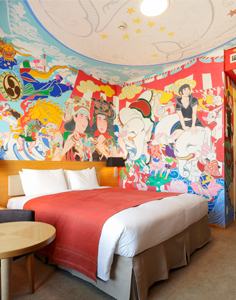 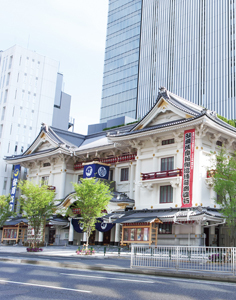 The restaurant is the newest must-see spot in the Kabukicho district, attracting visitors from around the world, including some adventurous celebrities.